> There’s a nice article in The Hook (New valley pub launches) about the recent birth of Blu Magazine. 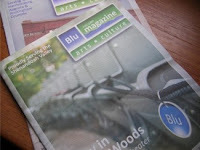 Blu, a monthly arts and culture magazine distributed free throughout the area, is produced by Jason Grogan and Jack Morgan with the help of a lot of area photographers and writers (including me). Issue Number 3 is due out momentarily . . .